Pursuant to the authority vested in the National Privacy Commission through Section 7(b) of Republic Act No. 10173, otherwise known as the “Data Privacy Act of 2012,” to facilitate or enable settlement of complaints through the use of alternative dispute resolution processes; and consistent with Republic Act No. 9285, otherwise known as the “Alternative Dispute Resolution Act of 2004,” declaring it the policy of the State to actively promote party autonomy in the resolution of disputes and the freedom of the parties to make their own arrangements to resolve their disputes, the following Rules on Mediation before the National Privacy Commission are hereby prescribed and promulgated. SECTION 1. Application and Interpretation. In applying and construing the provisions of these Rules, consideration must be given to the need to promote candor among the parties, the confidentiality of the mediation process, and the independence of the determination and resolution of the parties of their dispute, all of which shall foster prompt, economical, and amicable resolution of disputes. SECTION 2. Scope. These Rules shall apply to all complaints filed before the Commission. a. 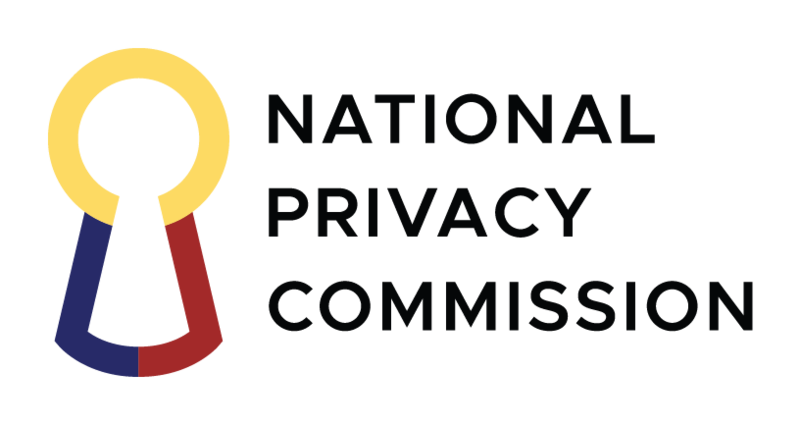 Commission – refers to the National Privacy Commission. b. Complaint Proceedings – proceedings before the Complaints and Investigation Division commenced sua sponte or by the filing of a sworn affidavit or verified complaint, including investigations, except those arising from breach notifications. c.	Discovery Conference – a meeting pursuant to an Order to Confer for Discovery issued by the investigating officer during complaint proceedings. d.	Investigating Officer – refers to the personnel of the Complaints and Investigation Division assigned by the Commission to preside over complaint proceedings. e.	Mediation – refers to the voluntary process in which a mediation officer facilitates communication and negotiation, and assists the parties in reaching a voluntary agreement regarding a dispute. f.	Mediation Officer – refers to the personnel of the Legal Division assigned or designated by the Commission to conduct mediation. Section 1. Willingness to Mediate. – The parties, by mutual agreement, may signify their interest to explore the possibility of settling the dispute by mediation during the discovery conference or at any stage of the complaint proceedings thereafter. Section 2. Application for Mediation. – The parties shall jointly file with the investigating officer an Application for Mediation manifesting their earnest commitment to engage in a meaningful settlement process and their willingness to abide by these Rules and the orders issued by the assigned mediation officer. No application for mediation shall be approved without payment of the mediation fee. Section 3. Order to Mediate. – The investigating officer shall issue an Order to Mediate, which shall state the following: (a) the approval of the Application for Mediation; (b) the suspension of the complaint proceedings for sixty (60) days pending the mediation proceedings; (c) the name of the assigned or designated mediation officer who shall preside over the mediation proceedings; and (d) the date, time, and place when the parties shall appear before the mediation officer for the preliminary mediation conference. Copies of the Order to Mediate shall be furnished to the mediation officer and the parties. Section 4. Preliminary Mediation Conference. – The mediation officer shall receive the appearances of the parties and inform them of the mediation process and the manner by which the proceedings will be conducted. The mediation officer shall stress the benefits of an early settlement of the dispute and endeavor to achieve the most fair and expeditious settlement possible. Each party shall be allowed to make a brief statement of their respective position and preferred outcome. The mediation officer shall explore common ground for settlement and suggest options for the parties to consider. When necessary, the parties shall agree on the schedule of the next mediation conference and the mediation officer shall issue an order therefor. Section 5. Separate Caucuses and Subsequent Conferences. – The mediation officer may, with the consent of both parties, hold separate caucuses with each party to enable a determination of their respective real interest in the dispute; provided, that each party shall be afforded equal time and/or opportunity to ventilate such interest and motivation. The mediation officer may call such conferences/caucuses as may be necessary to facilitate settlement. The mediation officer shall hold in confidence any matter disclosed during the separate caucuses and shall exercise reasonable prudence and discretion in the safeguarding of such information. Section 6. Mediation Period and Extension thereof. – The mediation officer shall endeavor to achieve a mediated settlement of the dispute within fifteen (15) days from the preliminary mediation conference, but shall, in every case, be afforded the initial period of sixty (60) days to achieve the same. Upon reasonable ground to believe that settlement may yet be achieved beyond the initial mediation period of sixty (60) days, the period to mediate may be extended for another thirty (30) days by the mediation officer. Should no agreement be reached within the extended period, another non-extendible period of thirty (30) days may be jointly requested by the parties subject to the discretion of the mediation officer. Section 7. Mediated Settlement Agreement. – A mediated settlement agreement following successful mediation shall be jointly prepared and executed by the parties, with the assistance of their respective counsel, if any. The execution of a mediated settlement agreement shall terminate the mediation proceedings. The mediation officer shall certify that the contents of the agreement have been explained, understood, and mutually agreed upon by the parties, and that the provisions thereof are not contrary to law, public policy, morals, or good customs. Section 8. Confirmation by the Commission. – The mediation officer shall issue a resolution submitting the mediated settlement agreement to the Commission within five (5)	days from the signing and filing thereof. Copies of the resolution shall be furnished to the parties and the investigating officer. The Commission shall thereafter issue a resolution confirming the mediated settlement agreement within fifteen (15) days from submission of the resolution and mediated settlement agreement. Section 9. Effect of Confirmed Mediated Settlement Agreement. – A confirmed mediated settlement agreement shall have the effect of a decision or judgment on the complaint, and shall be enforced in accordance with the Commission’s rules and issuances. Section 10. Failure to Reach Settlement. – If the parties are unable to arrive at a settlement of their dispute, or it becomes apparent that a settlement, given the disparity of the respective positions of the parties, is not likely or achievable within the sixty (60) day mediation period or the reasonable extension of such period under Section 7, the mediation officer may declare the mediation unsuccessful and terminate the proceedings by issuing a Notice of Non-Settlement of Dispute and furnishing the investigating officer and the parties with copies thereof. Section 11. Resumption of Complaint Proceedings. – Upon receipt of the Notice of Non- Settlement of Dispute issued by the mediation officer, the investigating officer shall issue an order lifting the suspension of the complaint proceedings, which shall resume as a matter of course. Copies of the order, including the notice of the next hearing date of the complaint proceedings, shall be furnished to all the parties. Section 12. Field Mediation. – The personnel of the Legal Division shall be authorized to conduct mediation proceedings between parties during the conduct of regional discovery conferences by the Complaints and Investigation Division. Section 1. Personal Appearance by the Parties. – Individual parties are required to personally appear during mediation conferences. Representatives may appear on behalf of individual parties; provided, that they are authorized by special power of attorney to appear, offer, negotiate, accept, decide, and enter into a mediated settlement agreement without additional consent or authority from the principal. If the party is a partnership, association, corporation, or a government agency, the representative must be authorized by a notarized Secretary’s Certificate, Board Resolution, or any equivalent written authority to offer, negotiate, accept, decide, and enter into a mediated settlement agreement. Section 2. Effect of Failure of Parties to Appear. – If any of the parties fail to appear without prior notice and justifiable reason for two (2) consecutive mediation conferences/caucuses at any stage of the mediation, the mediation officer may order the termination of the mediation proceedings. The mediation officer may also require the non-appearing party to explain why said party should not be required to pay treble the costs incurred by the appearing party, including attorneys fees, in attending the mediation conferences/caucuses, and be henceforth permanently prohibited from requesting mediation at any other stage of the complaint proceedings before the Commission. Section 3. Presence of Lawyers in Mediation. – Lawyers, upon the discretion of the mediation officer, may attend the mediation conferences in the role of adviser and consultant to their clients and shall cooperate with the mediation officer towards securing a settlement of the dispute. They shall help their clients comprehend the mediation process and its benefits and assist in the preparation of a mediated settlement agreement and its eventual enforcement. Section 4. Venue. – Mediation proceedings shall be conducted within the Commission premises. Upon request of both parties, the mediation officer may authorize the conduct of a mediation conference at any other venue, provided that all related expenses, including transportation, food, and accommodation, shall be borne by both parties. If a change of venue is requested by one party, it must be with the other’s conformity and they shall agree on the terms of handling the expenses. Section 5. Confidentiality. – The mediation conferences shall be held in private. Persons other than the parties, their representatives, counsel, and the mediation officer may attend only with the consent of the parties and upon approval by the mediation officer. Anyone present during a mediation conference shall not disclose any information obtained in the course thereof to any other person, nor utter the same through other means. The mediation proceedings and all incidents thereto shall be kept strictly confidential, and all admissions or statements therein shall be inadmissible for any purpose in any proceeding, unless otherwise specifically provided by law. However, evidence or information that is otherwise admissible or subject to discovery does not become inadmissible or protected from discovery solely by reason of its use in mediation. No transcript or minutes of the mediation proceedings shall be taken, and the personal notes of the mediation officer, if any, shall likewise be inadmissible nor cognizable in any court, tribunal, or body for whatever purpose and shall be securely destroyed upon termination of the mediation proceedings. Section 6. Mediation Fees. – The mediation fee in an amount prescribed by the Commission shall be paid by the parties upon the filing of the Application for Mediation. Complainants may be exempted from the payment of the mediation fee and enter into mediation proceedings as indigents upon submission of a certificate of indigency issued by the barangay captain at their place of residence. Section 1. Amendments. – These Rules or any portion thereof may be amended or supplemented by the Commission. Section 2. Separability Clause. – If any part, article, or provision of these Rules are declared invalid or unconstitutional, the other parts not affected shall remain valid. Section 3. Transitory Provision. – These Rules shall apply to pending complaints, provided the parties express their interest to settle the dispute by mediation. Section 4. Effectivity. – These Rules shall take effect fifteen (15) days after publication in a newspaper of general circulation.